Heathrow Express, Britain’s leading airport train service, was today confirmed as a major sponsor of the 2014 Bournemouth 7s Festival. Since its launch in 2008, Bournemouth 7s has established itself as the world’s largest sport and music festival, attracting more than 20,000 people and 320 Rugby 7s, Netball, Hockey 7s and Dodgeball teams. As part of its long-term business plan, Heathrow Express is building a relationship with rugby, and Bournemouth 7s is a key part of that. Keith Greenfield, managing director for Heathrow Express, connecting Heathrow to central London in just 15 minutes every 15 minutes, said: “It may seem odd for a premium Paddington-to-Heathrow train service to want to get involved with a sports festival in Dorset, but when you see the stats it starts to make sense. “Research shows the people who follow or play rugby in this country are a 94% demographic match for the people who use our service. 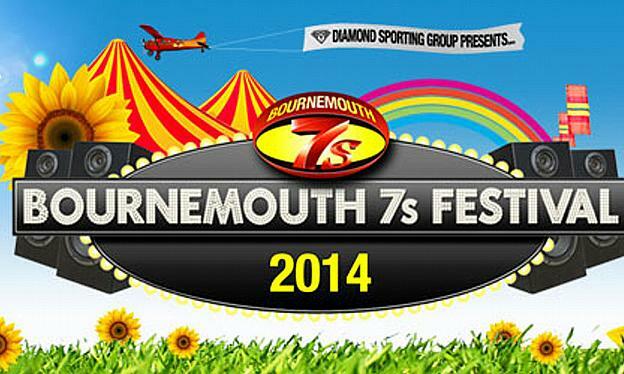 Sixty per cent of the people who attend the Bournemouth 7s are, like us, from London. The main age bracket of festival attendees is 18 to 30 - they’re the next generation of Heathrow Express regulars. “As a brand, we are building a relationship with rugby, in particular Rugby 7s, because the qualities needed to succeed on the pitch - speed and reliability - mirror those we need to run a successful service for our customers.” This year’s Bournemouth 7s Festival takes place across the May Bank Holiday Weekend, Friday May 23 to Sunday May 25. Heathrow Express is already the official partner of the England Rugby Sevens team. It also sponsors the England Legends and Premiership Rugby.